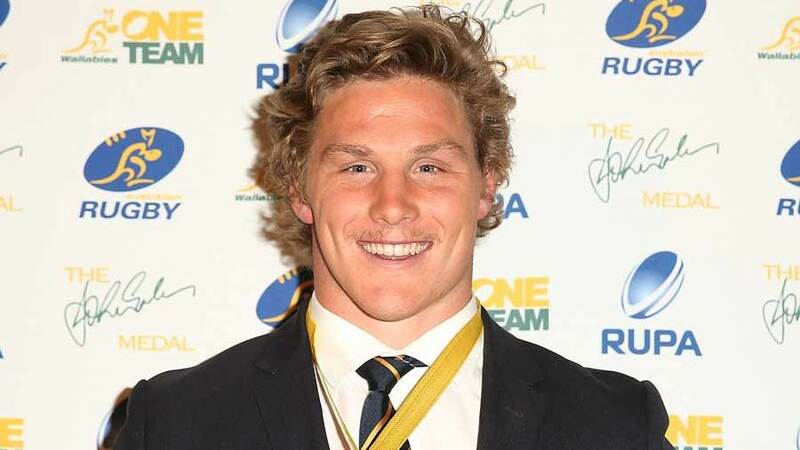 Australia's Michael Hooper was named the 2013 John Eales Medal winner and Wallaby of the Year in Sydney on Thursday. Hooper has been one of the shining lights in the Wallabies squad, in what has been a difficult year for Australian rugby. The two awards have been added to his personal haul which already included Super Rugby Player of the Year and the Wallabies Rookie of the Year in 2012. Despite the emergence of Israel Folau this year, the ex-rugby league star found himself in third while Wycliff Palu took second place behind Hooper in the John Eales medal standings. Folau, instead, took the Rookie of the Year award while Will Genia scooped Try of the Year. Very humbling to get the rookie of the year award! Congrats to Michael Hooper on winning the JEM. Well deserved and has been a star all yr. The evening also acknowledged the 2013 Wallaby Hall of Fame inductees: Michael Lynagh, Charlie Eastes and Bill Cerutti.